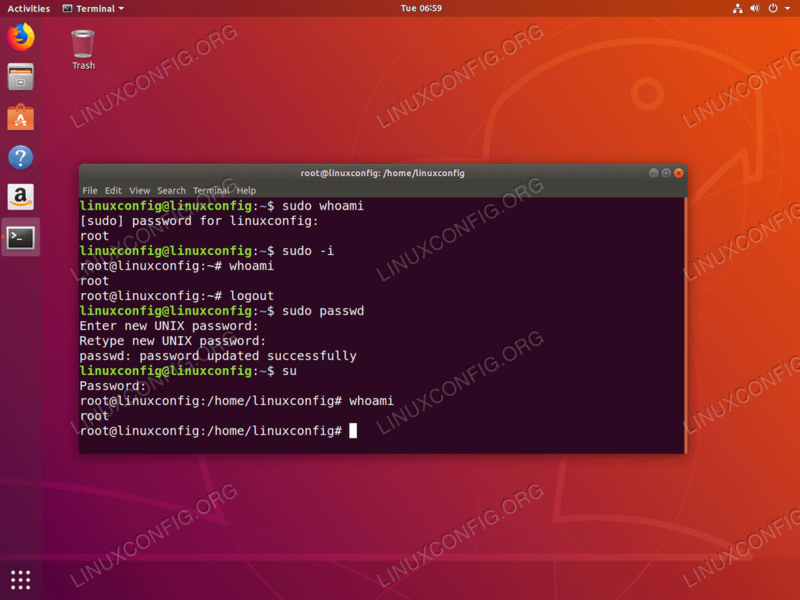 The objective is to access root shell and optionally change the default root blank password on Ubuntu 18.04 Bionic Beaver Linux. There is no default root password on Ubuntu 18.04 Linux. However, if you need to execute a command with root privileges you can prefix your command with sudo. Please note that your command prompt will change from $ to # which indicates that you are currently logged in as root.